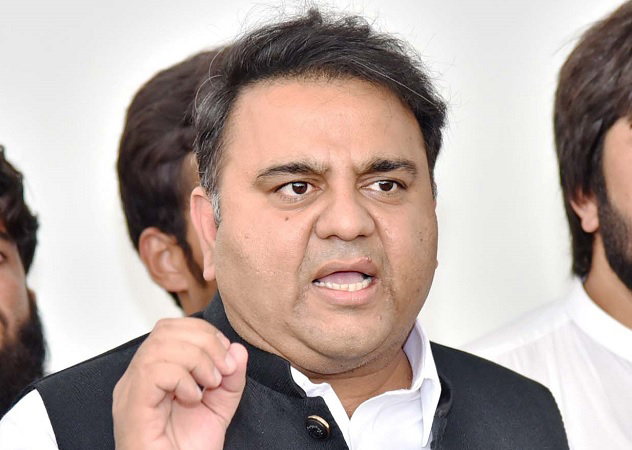 Minister for Information and Broadcasting Chaudhry Fawad Hussain Wednesday said Prime Minister Imran Khan in his address to the nation talked about peace and dialogue and stressed that issues between Pakistan and India should be resolved peacefully. Speaking at the concluding session of the two-day international conference on Media and Conflict here, he said the Prime Minister had provided leadership to the nation and said peace should be given a chance as it was easy to start a war but it was difficult to end it. Fawad said Narendra Modi had indulged in war mongering and jingoism while Prime Minister Imran Khan showed that he was a statesman. He said in the last few days, tension had gripped the region and India had tried to build a certain narrative, however, Pakistani society showed its better side and maturity, adding the government, political and religious parties and people in Pakistan rejected war hysteria and war mongering. India had tried to build a narrative that created tension in the region, he said adding but lately “say no to war” had become a top trend on twitter in India. He said the standpoint of Pakistan was recognized by the international community, adding wars should not be waged for political objectives. Fawad said a society should have consensus on bigger issues but difference of opinion among people also reflected diversity and strength of democracy. “Difference of opinion is good for a society,” he said adding in an age of social media, content was more important than medium and ultimately informal social media was overtaking the formal print and electronic media. He said 65 percent of youth population had turned away from the traditional forms of media and more of them were getting their information from the social media. Anybody who wanted to get information, can watch television, more detail could be taken from print media, while books could be read for in depth knowledge, he added. The minister observed that those using social media should have understanding as to how news was spread on different platforms. Fawad said Islam was spread in the sub-continent by mystics so there was no violence in the region because of religion. However, violence only started when politics entered religion; those who believe in Allah Almighty could not be violent. He said Pakistan for 30 years faced an irregular conflict and not a regular conflict in which enemy becomes visible and society could get united against it.